The best full-sized pickups in the market are often those that give you the best of a lot of worlds. It’s not enough for a pickup to look good or boast a luxurious interior. It’s not even enough to have the most powerful engine. A good pickup has all of those things to go with impressive handling and driving qualities, as well as towing and hauling capabilities. Like the image the segment presents as do-it-all vehicles, a good pickup has to, quite literally, do it all. That said, not every pickup can do it as well as some of its contemporaries. There are those that excel in a few things but don’t much up as well in other respects. Then there are those that not only excel at one thing; they excel at everything. On that end, we’ve made a list of the best full-sized pickups in the market today, ranked from last to first. California is facing its deadliest wildfire in history, and so far, 42 people have lost their lives to “Camp Fire. The count would have been much higher if not for good Samaritans like Allyn Pierce. 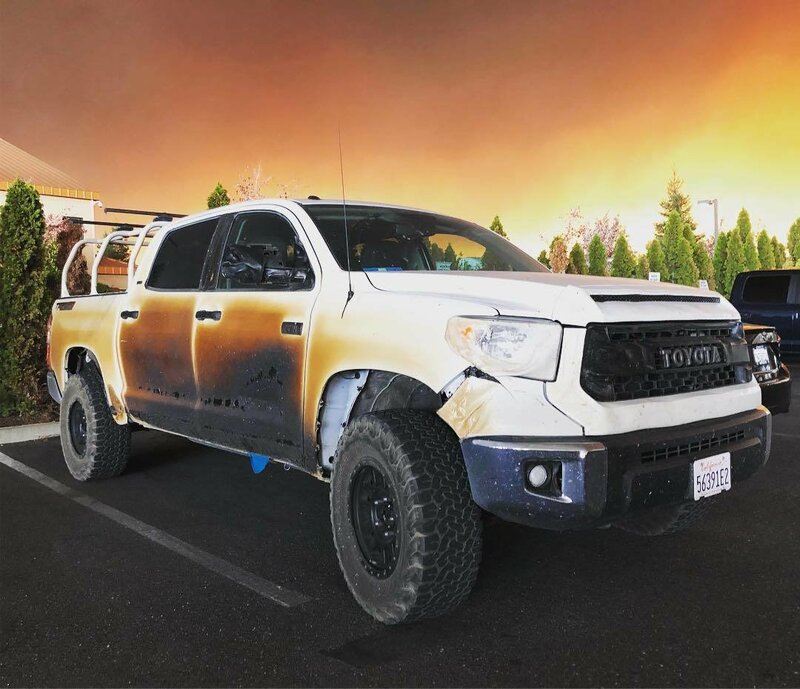 Pierce, a nurse by profession, drove his Toyota Tundra into the flames and evacuated patients from the intensive care unit that he manages. Although he came out unharmed, his Tundra bore the brunt, quite literally. When the Japanese automaker found out about this, it offered to replace his Tundra. Pizza chain Pizza Pie is once again digging into its bag of marketing gimmicks with the introduction of the Toyota Tundra PIE Pro. Built in collaboration with Toyota, the Tundra PIE Pro is, quite seriously, a zero-emission pickup with a robotic pizza-making factory in the truck bed. Unfortunately, the Tundra PIE Pro is nothing but a concept, dashing our hopes and dreams of one day seeing this creation pull up in our homes with a fresh pan of Pizza Hut’s finest. 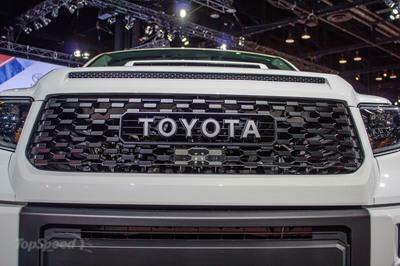 A unique Toyota Tundra showed up at the 2018 SEMA Auto Show with Kevin Costner’s imprints all over it. The Hollywood A-lister hooked up with Toyota to build a custom Tundra Platinum that embraces Costner’s love for adventure and the outdoors. The one-off, custom-built creation is the ultimate adventure truck, fitting for a man whose famous for his love of the outdoors. They don’t make them as rough and tough as Kevin Costner; turns out, Toyota — and Working Complete Customs of McKinney, Texas — was up to the task of giving him a ride that suits his personality. 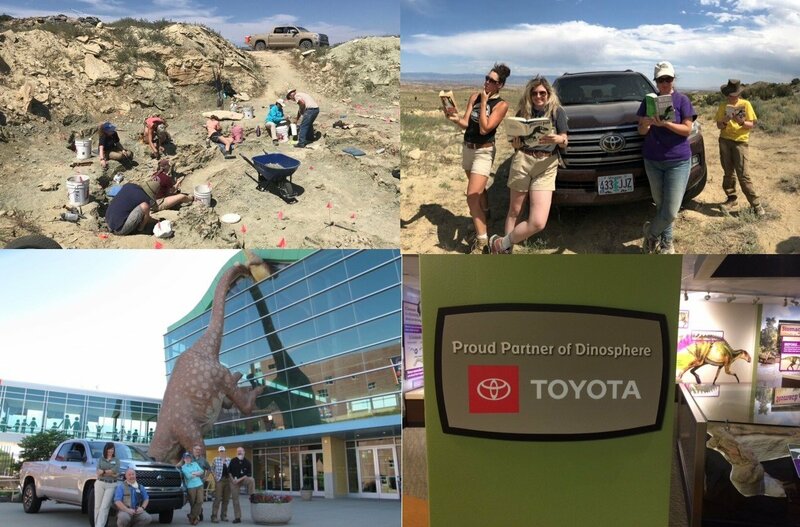 Toyota is lending a helping hand to a team of paleontologists from the Children’s Museum of Indianapolis who are surveying an undisclosed site in northern Wyoming. The team of scientists, led by world-renowned paleontologists Dr. Phil Manning and Dr. Victoria Egerton, are in the area looking for fossilized dinosaur bones. Toyota is supporting the expedition by lending a pair of Tundra pickups and a Land Cruiser to help carry the scientists, their gear, and whatever fossils they dig up. 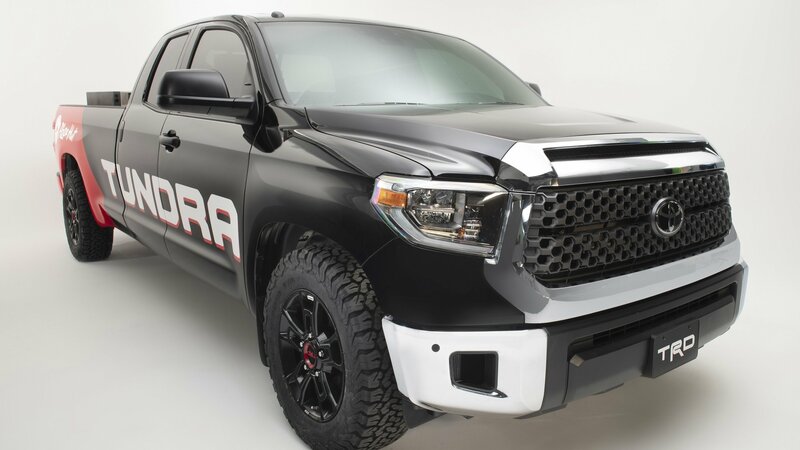 Toyota has upped the ante with its Tundra TRD Pro for the 2019 model year. The off-road package receives a mid-cycle refresh that includes both cosmetic and suspension upgrades. The move is completely understandable considering how hot the off-road segment is getting these days. 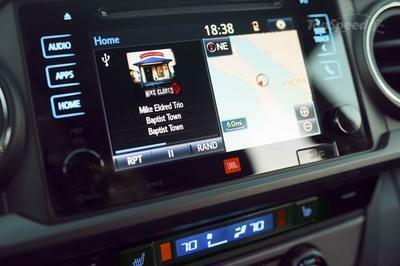 It’s important to understand the Tundra TRD Pro’s place in the market. It competes most directly with the Ram 1500 Rebel, both of which fall short of the Ford F-150 Raptor’s outright ownership of the high-speed desert racing niche. But while Ford is busy making the Raptor an extremely capable but very expensive upgrade to the F-150, both the TRD Pro and Rebel are more obtainable for the everyman. 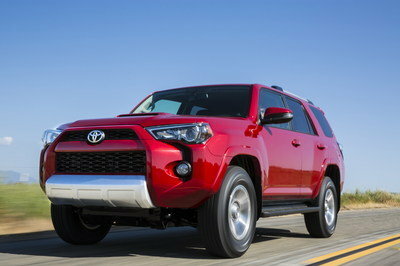 In other words, the Tundra TRD Pro might not match the Raptor’s off-road performance, but it’s also far less expensive. Nevertheless, Toyota’s 2019 updates push the Tundra TRD Pro beyond what it was capable of from 2015 to 2018. 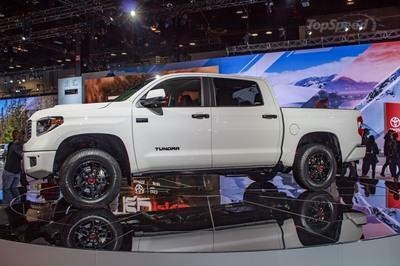 Continue reading for more on the 2019 Toyota Tundra TRD Pro. The current Tundra’s design has been around since 2014 with a very mild update for 2018. 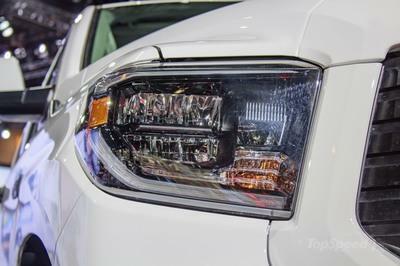 The recent change brought reshaped headlights with smoked lenses for certain Tundra models, new grille designs, and Toyota Safety Sense-P for all trims. 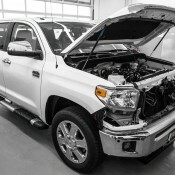 The 2019 Tundra TRD Pro makes use of the new headlights and integrates the forward-facing radar sensor into a restyled and less bulky TRD Pro grille. Another big difference is the hood scoop. The Tundra already has that long slot in the hood above the grille, but the new 2019 TRD Pro trim adds a secondary scoop further back. Some might say it looks like an afterthought. Thinking positively, we say it makes the 2019 model easier to spot. It’s worth noting the scoop was first seen on the 2018 Tundra TRD Sport and that it’s not functional. On a more functional note, the Tundra’s halogen fog lights are swapped out for LED off-road lights from Rigid Industries – the same company that makes the Tacoma TRD Pro’s fog lights and a purveyor of all things LED in the aftermarket. Combining cosmetic and functional, the Tundra TRD Pro’s front skid plate now has red lettering inside the stamped TRD logo. The aluminum skid plate still measures 1/4-inch thick as before, helping to keep vital powertrain components safe from trail damage. Exposed front tow hooks make vehicle recovery an easier task. Last but certainly not least, Toyota gave the 2019 Tundra TRD Pro some new shoes. They are 18-inch BBS forged-aluminum wheels with an all-new design, five spokes, and a 3.35-pound reduction of mass over the outgoing wheels. In total, the new wheels cut 13.4 pounds of unsprung weight from the truck. Toyota didn’t do much with the 2019 Tundra TRD Pro’s interior. The minor updates from 2018 carry over, including the revised gauge cluster and all the Toyota Safety Sense-P equipment, but otherwise, the differences are nil. 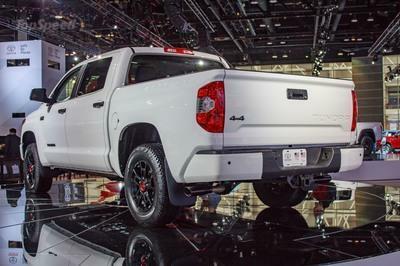 As with previous Tundra TRD Pros, the 2019 version comes with black leather seats with red contrast stitching and the TRD Pro logo embroidered into the seatback. Another logo adorns the center armrest while a TRD-branded shift knob rises from the console. The dash is covered in black leather, too, along with the same red contrast stitching. TRD Pro floor mats finish off the look. 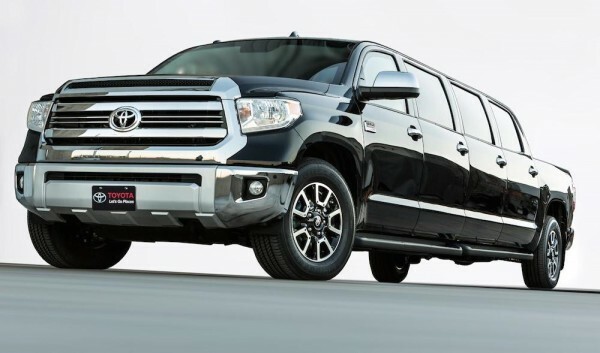 The Tundra TRD Pro offers seating for five in both the Double Cab and Crew Max modes, with the Crew Max boasting limo-like legroom and a nearly flat load floor. 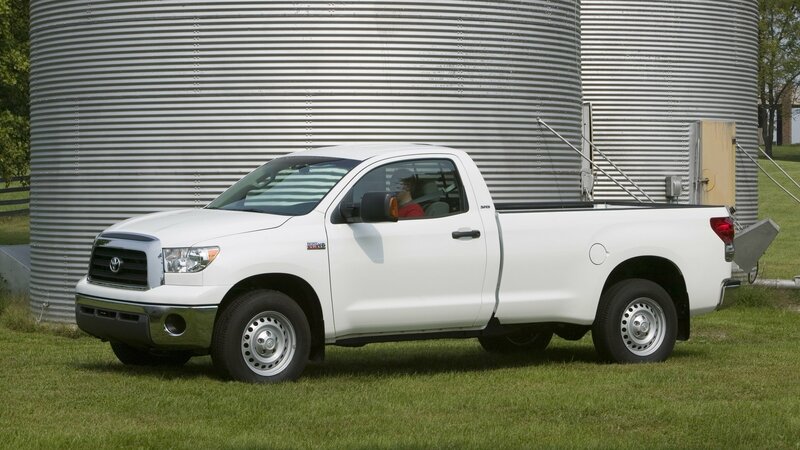 The Tundra soldiers on with its venerable but aging 5.7-liter iForce V-8. The all-aluminum, DOHC engine uses port fuel injection and variable valve timing but lacks modern tech like cylinder deactivation and direct fuel injection. Still, the big V-8 kicks out 381 horsepower at 5,600 rpm and 401 pound-feet of torque at 3,600 rpm. The engine is paired with a six-speed automatic transmission that powers the rear wheels. Like other 4WD Tundras, the TRD Pro uses a part-time 4WD system with a two-speed, electronically controlled transfer case. 4WD high range can be selected on the fly and 4WD low range, while requiring a full stop and the transmission to be in neutral, multiplies the engine’s torque for even more low-end power. The Tundra TRD Pro does not benefit from a traditional locking differential in either the front or rear, but Toyota does include its A-TRAC system. Pressing the traction control button activates the system; individual brake applications keep any one wheel from spinning freely without traction. This causes power to transfer to the opposite horizontal wheel, allowing the truck to continue forward progress. Toyota does make the awesome TRD cat-back dual exhaust a standard feature on the TRD Pro. This system makes the V-8’s bellows a wonderfully audible tone, giving the truck a more masculine growl. The exhaust system should help improve horsepower and torque figures, too, though Toyota does not have an official statement on the matter. 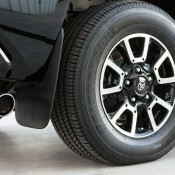 In our experience, however, the TRD exhaust is one of the most lovable features available on a Tundra. Fuel economy is a downside here, with the 5.7-liter V-8 only achieving an EPA-estimated 13 mpg city and 17 mpg highway on the 2018 Tundra 4WD Crew Max. We don’t expect those numbers to change for the 2019 Tundra TRD Pro. The biggest updates on the 2019 Toyota Tundra TRD Pro happen in the suspension department. 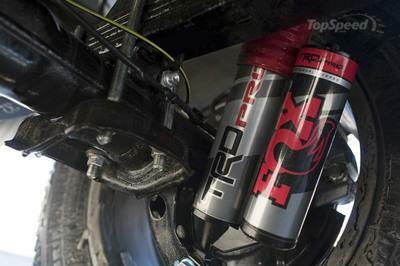 Gone are the TRD-branded Bilstein shocks, replaced with Fox Racing Shocks. The new Fox dampers are 2.5 inches in diameter and boas 46mm-thick pistons. The front shocks have 11 bypass zones while the rear shocks have 12 zones. Wheel travel is increased by 1.5 inches up front and more than two inches out back. As for those bypass zones, they control the damping rate. On the front shocks’ 11 zones, seven of them are dedicated for the compression stroke and four for the rebound. During compression (when the wheel is traveling upwards into the fender) each bypass zone provides progressively more damping. In other words, the deeper into the shocks’ travel, the stiffer it becomes. In practice, this allows for a smooth, comfortable ride on regular roads where the shocks aren’t working hard. 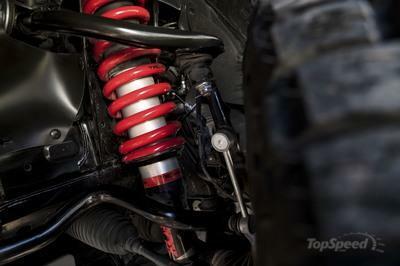 On rough terrain and at high speeds where more of the shocks’ travel is utilized, the stiffer they become. This is in an effort to keep the truck off its bump stops, which makes for a hard landing. The same is true for the rear shocks and its 12 bypass zones, with eight being for compressions and four for rebound. The rears also have a 2.5-inch diameter piggyback reservoir for each shock. This holds more oil, which helps keep shock temperatures down during extended off-road driving. Like before, the Tundra’s suspension setup is very similar to the standard TRD Off-Road model. The front suspension uses double A-arms with the shock and coil spring combined in a MacPherson strut setup. The rear uses traditional leaf springs on a solid axle with the shocks mounted outboard of the leaf springs. The truck continues to use Michelin LTX A/T2 tires sized in P275/65R18. The tires offer a good balance between on-road comfort and off-road capabilities, though folks who regularly drive in the dirt might find a more aggressive tire advantageous. Toyota has not released the pricing for its 2019 Tundra TRD Pro. We’re betting pricing won’t increase too much past the outgoing model. Expect a starting price of around $44,000 for the Double Cab and around $47,000 for the Crew Max. 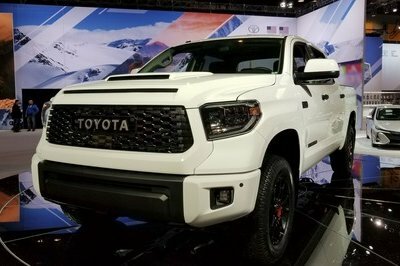 Toyota will have the 2019 Tundra TRD Pro in showrooms by the end of 2018, so more information will be known then. 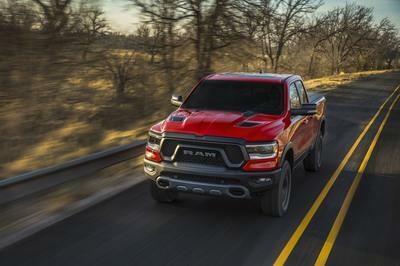 Ram has given its 1500-series pickup a complete generational change for 2019, including all the special trim levels like the Rebel. Built to be a hard-core appearance package that backs up its looks with actual performance increases, the Ram Rebel uses 33-inch Goodyear DuraTrac tires, boasts an electronic locking rear differential, and is available with Ram’s four-corner air suspension. Those with the standard coil spring suspension can opt for the Mopar 2.0-inch suspension lift kit. As for its appearance, the Rebel comes with a unique front bumper, grille, hood, and wheels. Inside, red anodized aluminum accents the black interior while the leather-trimmed seats have a tire tread pattern form the Goodyear DuraTracs in their cloth center section. 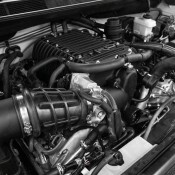 Power comes from either the 3.6-liter Pentastar V-6 with Rams new eTorque system or the 5.7-liter Hemi V-8 available with or without the eTorque system. The V-6 offers up 305 horsepower and 269 pound-feet of torque, while the Hemi kicks out 395 horses and 401 pound-feet of torque. An eight-speed automatic powers the rear wheels. Interestingly, 4WD is optional on the Rebel. Prices for the 2019 Ram 1500 haven’t been announced as of this writing, but like the Tundra TRD Pro, expect them to remain competitive. Read our full review on the 2019 Ram 1500 Rebel. The Ford F-150 Raptor is what started the current trend of high-speed off-roading trucks when it launched back in 2010. 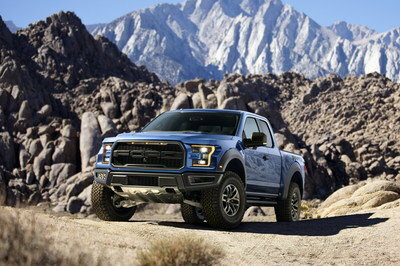 Now in its second generation, the Raptor enjoys immense popularity and impressive off-road capabilities. The truck uses 3.0-inch diameter Fox Racing Shocks at all four corners with beefy control arms up front and leaf springs out back. 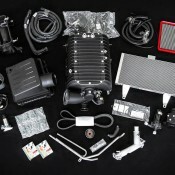 Power comes from Ford’s high-output 3.5-liter EcoBoost V-6. The little engine kicks out an impressive 450 horsepower and 510 pound-feet of torque through a 10-speed automatic transmission. The transfer case is technically a part-time system that can pull full-time 4WD duties when controlled via Ford’s smart Terrain Management software. The driver simply selects the right mode for the terrain at hand and the truck will do the rest. All this tech is expensive, however, with the 2018 Raptor starting at $50,020 for the SuperCab truck with no options. The SuperCrew model starts at $53,005 and will crest over $73,000 with all the option boxes checked. Ouch! 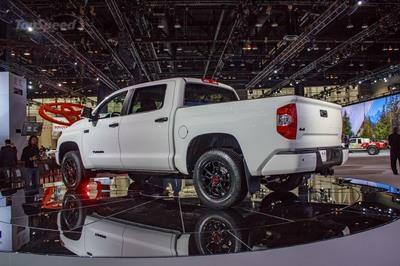 The improvements made to the 2019 Toyota Tundra TRD Pro give it more capability off-road while not changing much of its on-road persona. Aside from the minor appearance modifications, the truck generally looks the same. The interior shows no signs of upgrades, either. Still, the truck makes for a great daily driver and weekend toy. Only time will tell if Toyota can keep up with the new 2019 Ram 1500 Rebel in both sales and in the dirt. Our bet is Toyota will have a challenging fight on its hands. The 2019 Toyota Tundra TRD Pro will arrive in showrooms toward the end of 2018. More information will become available then, so stick around to TopSpeed.com as that happens. 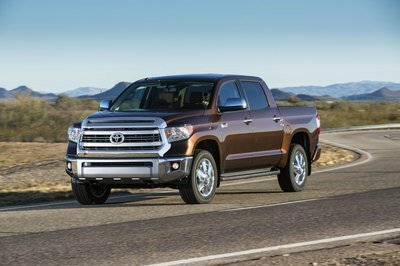 Read our full review on the 2017 Toyota Tundra. Toyota is gearing up for a busy weekend at the 2018 Chicago Auto Show that includes debuting a new lineup of off-road vehicles. The Japanese automaker released a teaser photo of its Chicago attendees, and we can clearly see that the three models are the Tundra, Tacoma, and 4Runner. 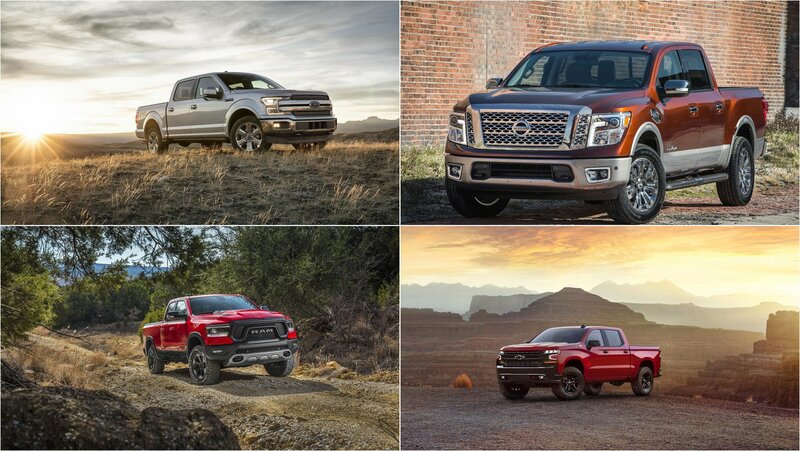 It’s hard to make out the specifics because of the distance of the vehicles in the photo, but it is believed that all three models will come to Chicago sporting new off-road packages. It’s hard to make out what the Tundra, Tacoma, and 4Runner are sporting, but if they are carrying new off-road packages, expect it to be an updated version of Toyota’s current TRD Pro package. Each model is eligible to get the package so that’s another sign that they’re all going to be sporting some new version of the package when they all show up in Chicago. For those who need a refresher, the current TRD Pro Series package offers a series of upgrades to the standard components that are already included in the Tundra, Tacoma, and 4Runner. 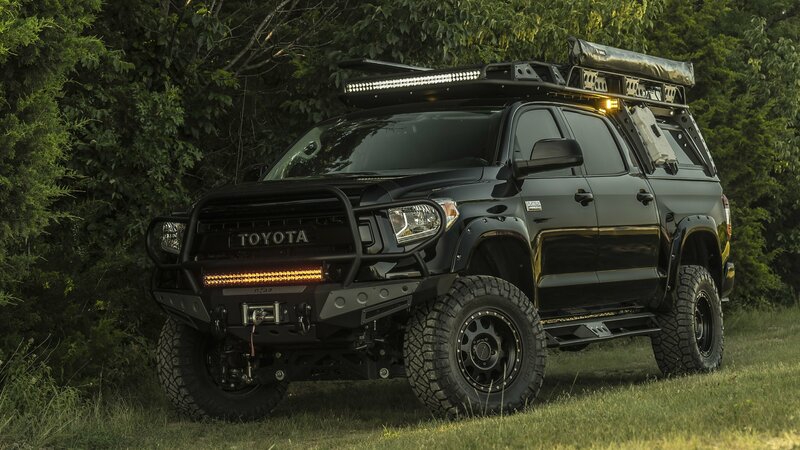 Depending on the vehicle, the package includes either a one- or two-inch lift with unique suspension tuning, upgraded off-road tires, special TRD exhaust tips, skid plates, and a handful of cosmetic additions. From the looks of it, all three models are also wearing different grilles compared to their standard counterparts. That’s another suggestion that there could be more offerings included in the new TRD Pro Series package. Outside of these new digs for Toyota’s incumbent off-roaders, there’s also growing momentum within the company that another off-road SUV could be in the pipeline. Toyota has been mum on this plan, but rumors have been quick to identify the FT-4X Concept that debuted at the 2017 New York Auto Show as the possible inspiration behind this new SUV. Could it be possible, then, that the recently deceased FJ Cruiser will get a successor after all? We’ll find out soon enough. Read our full review on the 2017 Toyota Tacoma. Read our full review on the 2017 Toyota 4Runner. 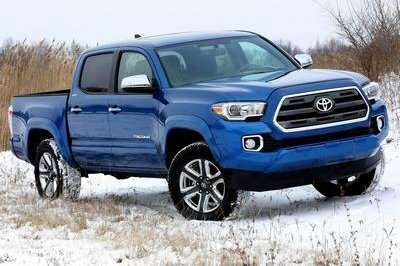 Amid Toyota’s February 2017 debut of the slightly updated 2018 Tundra pickup, the brand buried its plot to end production of the Tundra regular cab. The once-popular cab style has faded from glory as customers choose pickups versions with more interior room. As it turns out, the regular cab Tundra only mustered an abysmally low 0.4 percent rake-rate in the first five months of 2017. The larger Double Cab accounted for 34.1 percent of Tundra sales during the same period, while the Crew Max represented 65.5 percent of the 43,809 Tundras sold between January and May. Do the math, and Toyota only sold 175 regular cab Tundras in five months. This isn’t a new trend, of course, with regular cab trucks from every automaker losing out to more spacious cab configurations. It’s also worth noting Toyota trails in half-ton pickup truck sales, followed only by the new Nissan Titan and Titan XD pickups, whose production is still being ramped up following their recent introductions. In contrast, Ford sold 351,965 F-Series pickups between January and May, while Chevrolet sold 212,425. The domestic brands also control the vast majority of the fleet and work-truck segments, which still skew towards low-cost trims and cab configurations. That presents this question: Why isn’t Toyota marketing to these segments? Other automakers do very well selling high-quantity, low-content pickups, Ford especially. Let’s explore this more below. Continue reading for more information and opinion. 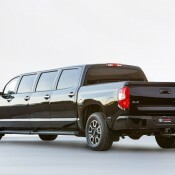 Why would anyone want to stretch a pickup truck and turn it into a limousine? How about they wanted some media attention and had no idea what else to do? That is a fairly accurate description of the pointless Toyota Tundrasine Concept, a concept pickup-limo unveiled at this year’s SEMA show. Presumably designed for a super rich builder with a golden helmet, Toyota Tundrasine Concept is based on a Tundra 1794 Edition 4×4 CrewMax 5.7L V8 pickup. 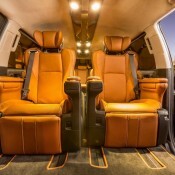 The limo measures 26 feet in length and has a wheelbase of 235.9 inches, boasting a total of eight doors. The Midnight Black paint job does obscure the length of the vehicle a bit and complements the brown leather interior, apparently inspired by private jets. That is all there is to know about this ridiculous creation. It really is a giant waste of time and effort, not to mention space. The post Toyota Tundrasine Concept Arrives at SEMA appeared first on Motorward. This is, as far as we can remember, the first time someone is so eager to upgrade a vehicle like the Toyota Tundra. What’s more, the owner of this pickup truck has sent it all the way from Dubai to Cologne, Germany, because he wanted the experts at Mcchip-DKR to work on it. The tuning package being prepared for the Mcchip Toyota Tundra is called mc550 and there’s a clue as to the kind of horsepower it will be getting. The 5.7 V8 “Flex Fuel” engine in the mighty Tundra is going to get boosted from 380 horsepower to a full 550 horsepower with 800 Nm of torque. That ought to make taking on the sand dunes of Dubai in this car a lot more fun. 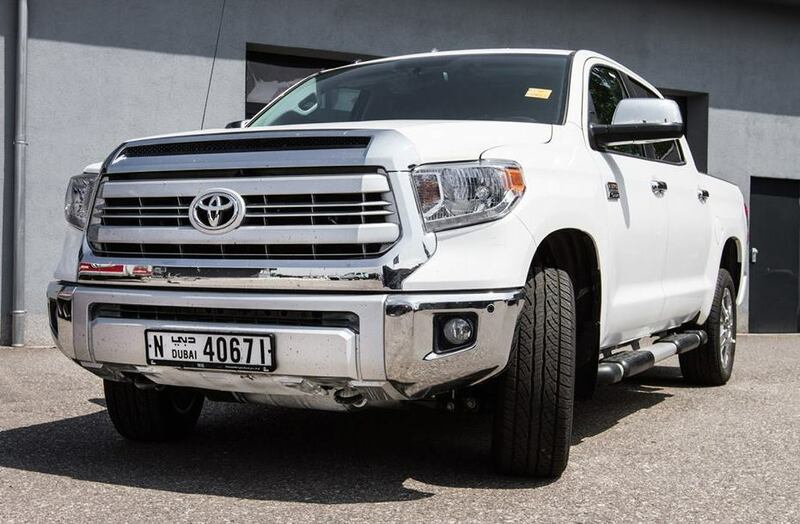 The engine treatment for Mcchip Toyota Tundra will include a supercharger kit which is really the meat of the program, complemented with a bespoke software developed in-house by Mcchip and sport air filters. But these guys are professional tuners, and pros always keep a steady foot. 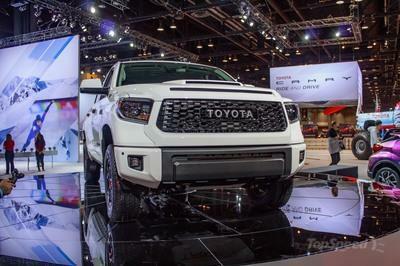 So the Tundra will also get larger brakes and raised axles with high-performance suspension from TRD. All it needs, then, is a set of large wheels with rugged off-road tires, and it becomes a superb toy. The post Mcchip Toyota Tundra “mc550” Upgrade Kit appeared first on Motorward. Ever want to buy a NASCAR race truck? Of course you have; because what truck guy wouldn’t want a 700-horsepower, race slicks-wearing, fully caged Camping World-class truck? Well this Toyota Tundra is for sale – and at the decent price of $49,995. 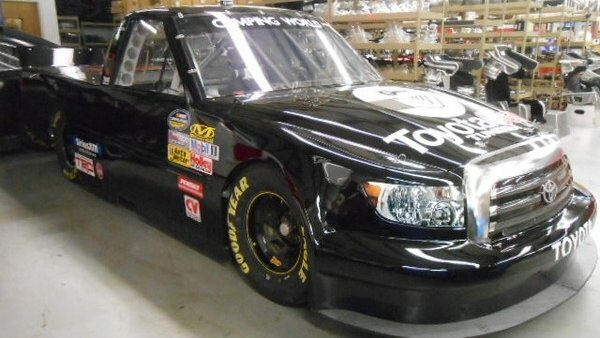 For Sale: Ex-NASCAR Toyota Tundra Tuned For Autocross originally appeared on topspeed.com on Monday, 18 May 2015 12:30 EST. 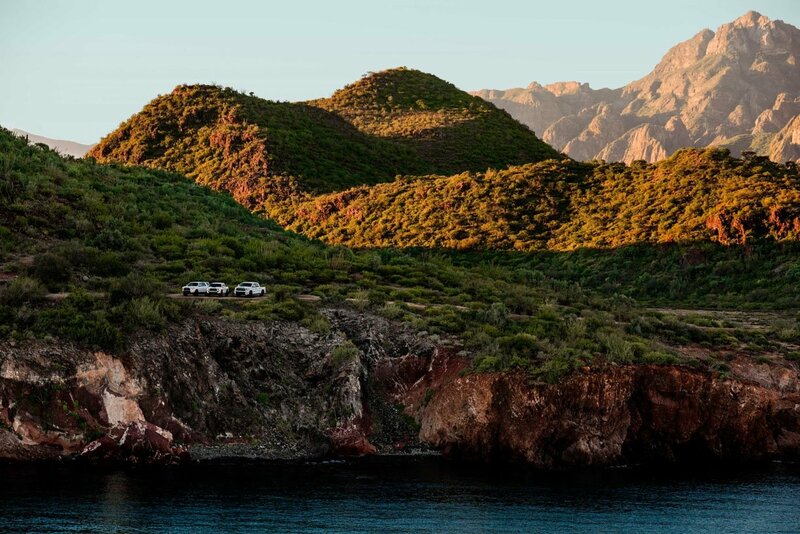 Motorsport legends and all-round thrill seekers Ryan Millen and Andy Bell decided it would be fun to drive a Toyota Tundra TRD Pro up the side of several volcanoes in uncharted Chilean wilderness. Yep, volcanoes – in a truck. Then again, it’s the same truck (and the same guys) that tackled the Baja 1000 in mostly stock form. 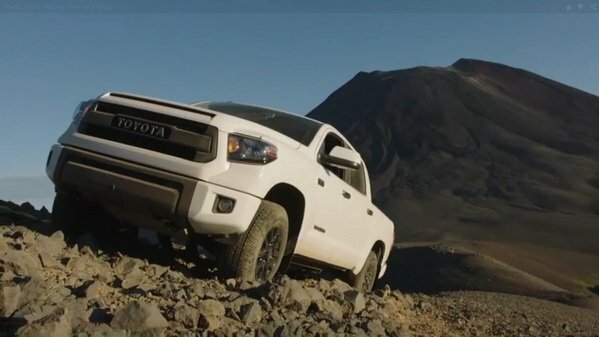 Toyota Tundra TRD Pro Drives Up A Volcano: Video originally appeared on topspeed.com on Wednesday, 6 May 2015 16:30 EST.